Data loss is a major problem, which can be experienced by both business and home users. If you need data recovery (file recovery) services for your laptop or desktop computer, please give us a call or contact us through our web site. You may have deleted some important data, when you find out that the files are important, you may not be able to retrieve them. AWP Computer Services can attempt all none hardware based data recovery (file recovery) processes for failed operating systems, deleted files and formatted hard drives. We offer you a professional, secure and confidential data recovery service for Windows systems and associated storage media. Our policy is “No Data, No Fee”. This means that you won’t be charged if we cannot recover your data. AWP Computer Services offer a free analysis, and no obligation quote, to provide you with a cost effective data recovery (file recovery) service. Our quotes are calculated by the results of our analysis. However, our price guide is available for more information on what we may quote. Without performing a physical analysis of your hard drive it would be impossible to give an exact quote. However, we break each case down into three categories to help give some indication of what you may expect to pay if your recovery is successful. AWP Computer Services break each data recovery (file recovery) case down into three damage categories. From logical, to electrical and circuitry to physical damage. Logical damage is the type of damage that covers issues related to the partitions and information held on the hard drive. Typical cases include accidental deletion of files, operating system re-installs and corrupted partitions. Prices for this data recovery (file recovery) service typically range from £40 to £190 depending on the size and complexity of the case. 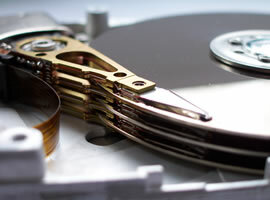 AWP Computer Services currently only offer logical data recovery (file recovery) directly to our customers. However, we have a number of recommended partners who we work with on electrical circuitry and physical damage data recovery (file recovery) tasks.